It gives an opportunity to enjoy an additional day in life which comes once in four years. It is a present in disguise for those who keep complaining that they don’t have enough time. They tend to become argumentative and say, “I would have done better/I would have completed the work if I had more time; at least an additional minute, another hour or a day for that matter. I hope that none of you would disagree with me. 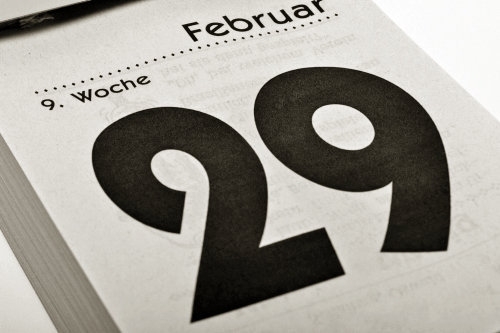 29th February is one of those rare days which we keep expecting from the dawn of the New Year. Of course, a year which is divisible by 4! It is more like our own Birthday, which never passes away unnoticed. And here we are, enjoying one supplementary day. I am wondering how I would make it special and memorable. I am thinking ways to make it unique; do something that is unusual. Ok, I am going to jog over my memory lane and find out what I was up to during this special day over years. To be frank, I don’t remember how year 2000 or the years preceding it was except that I was a tiny little girl with two plaits enjoying the warmth extended by mother’s kiss and father’s hug. I studied for 12 hours at a stretch. After all, my exams were nearing. I also remember that it was the first time ever when I managed to sit for such a long hour. I felt really happy that day. I felt proud. That day I realized that I can slog. But what I did in 29.02.2008? I really don’t remember. I desperately wished that history would repeat. I hoped that I would stay determined and study for 12 hours. But, I failed drastically. My exams were round the corner, but, I was feeling way too confident to waste my energy on studies!! I don’t think I need to study. Hurray! My exams are not round the corner. I dreadfully hope that I don’t end up working for 12 hours!! As an ending note, I wish you all a Happy Leap Year.